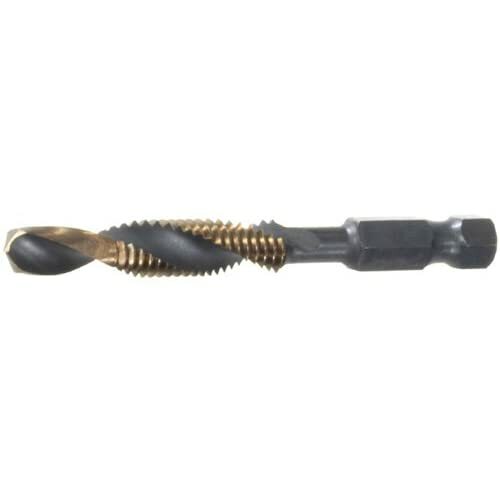 This is a combination Drill and Tap in the M8 X 1.25 size. Check out the Champion product range here and then search Amazon if interested. Last edited by MichaelKellough; 11-19-2009 at 02:35 PM. Interestingly, the link - which should go to Taylor Tool in Canada (which is a real entity - and it's Canadian), has an error, and goes instead to Taylor Tools (note the "s"), which is a flooring company in Denver CO. Though Taylor Tool is real, I have to wonder about someone who would come on a forum and their first post is advertising for someone. Seems a bit fishy, regardless of the quality of Taylor Tool products. Seems a bit fishy, regardless of the quality of Taylor Tool products. Yes it does, considering he revived a post from 2009 and his IP address is in the same little town as Taylor Tool (the real one). As long as you keep writing their company name in your posts, they've achieved what they set out to do.. Cheap advertising. Okamisan, I don't think that old saying "There's no such thing as bad publicity" necessarily applies to forums. Forums may be public, but most are more like clubhouses where members like to gather and chat. I think recommendations of products or suppliers are generally welcome when they are part of the discussion. However, when somone blatantly signs up for membership in the "club" for the sole purpose of promoting themselves or their friends, it is likely to be resented by the other members, and do more harm than good. Speaking for myself only, I will now never buy anything from Taylor Tool. Sorry, but I can't resist. Since you are talking about someone named Taylor and an association with Tools, I have to mention my desire to have Tim the Toolman Taylor as one of the guest speakers at Woodworking in America. That was really fun, Charles. Thanks so much for sharing. Funniest part of my day, so far! Funny stuff, Charles, thanks for posting it. Tim the Toolman was my idol, in fact I learned almost everything I know from watching him.